The Buffalo Nickel, also know as the Indian Head Nickel was produced by the US mint from 1913 to 1938 and along with the Morgan Dollar became the classic American coin for a number of reasons. First, it was the common coin of the Great Depression. It was the nickel of the nickel subway, the nickel ice cream soda, the nickel comic. It is the distictive nickel of hobo's and first seen in film. 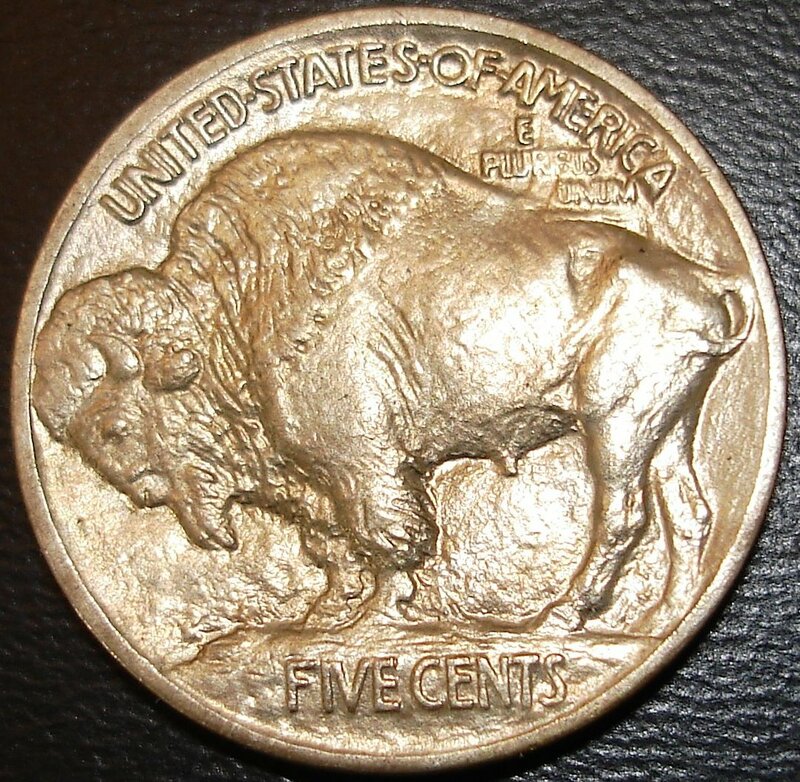 The coin's design is distincly American, with an authentic image of a Native American profile on one side and a Bison on the other. Unlike almost any other coin from around the world, this coin was dedicated to the native peoples of north america and the unique American fauna. 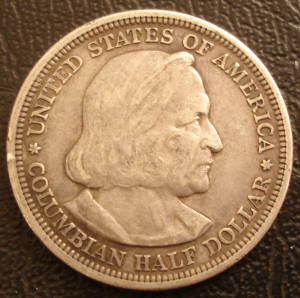 Not only does this break from coinage which historically has images of emperors, kings and conquests, but in addition, it even avoided purely propaganda or political images such as liberty and the emblematic US Eagle. 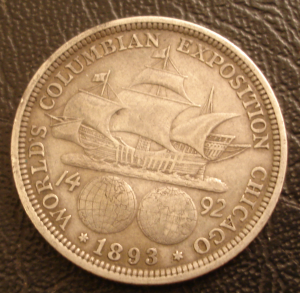 It was a very nonpolitical coin and in this regard perhaps the greatest propaganda message of all, the assertion of civilian and popular asthetics over any overt nationalistic message on the peoples coin. The coin itself was designed by James Earle Fraser and is also unique in the completeness of the design as a form of art. A good photo of an original design such as below shows no flat shiney background, and instead has a truly sculpted and carved look throughout the all the coins design pieces and the background. 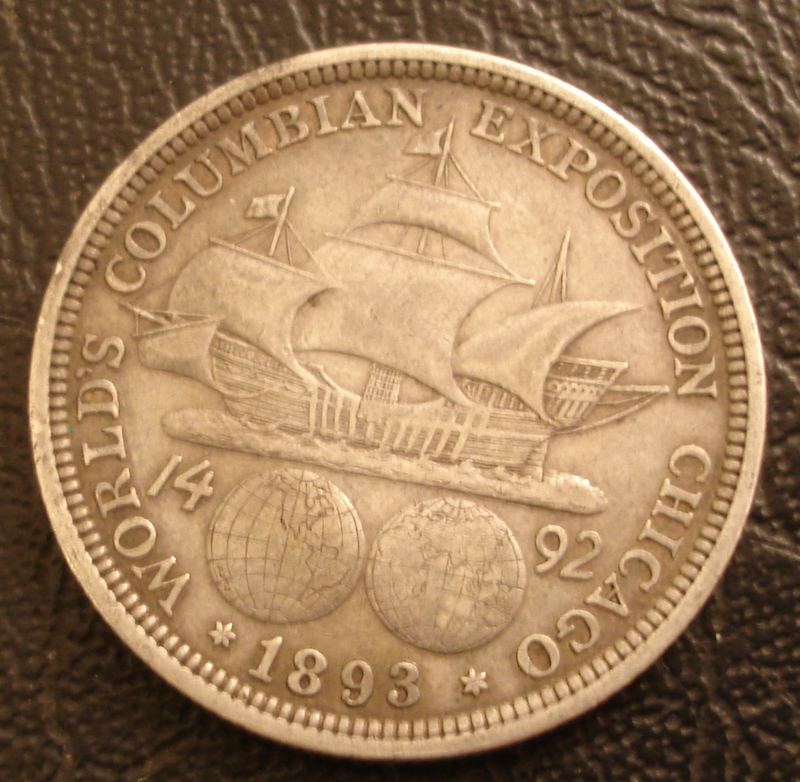 The coin as a work of art looks remarkably carved as individual peices rather than the stamped image that it is. This inevitably caused variation in the quality of the individual strikes of the coin and issues with wear. 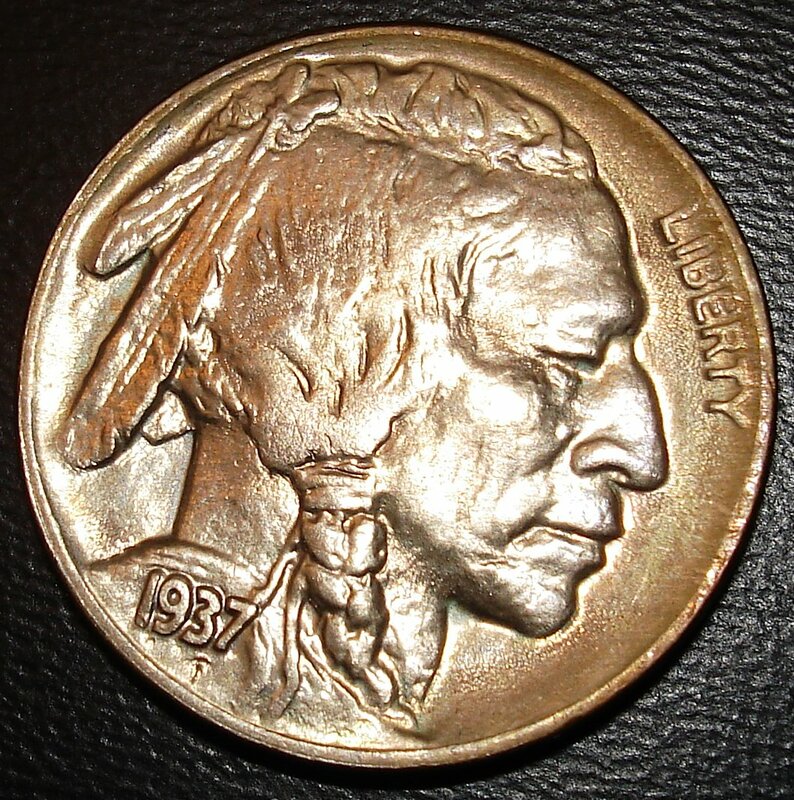 The above coin has virtually no wear and is a splendid Type I Indian Head Nickel of 1913. 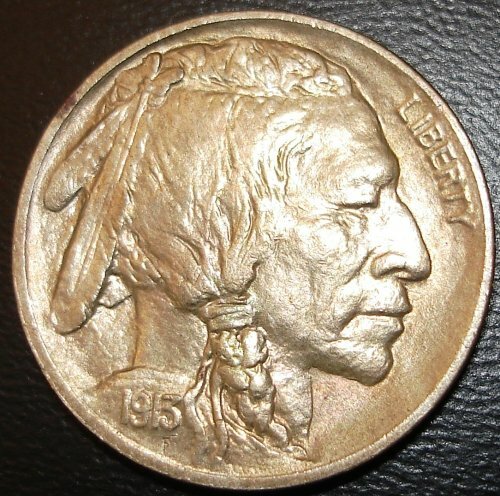 The motting that you see in the background of the obverse side, especially visible near the back of the neck and below the head dress feather is part of the design of the coin. This is also true of the graceful molding in the space between the legs of the Bison and the area around the 'E Pluribus Unum', all of which is design. The faded lettering of 'E Pluribus Unum' itself is from a weakness of the strike, as is the fade of the feather. Neither of these are a result of wear. The mound that the Bison stands on is well struck and easy to see on this coin. It is the essential design feature that seperates the Type I coin from the Type II version. The 1937 is a typical Type II Buffalo Nickel. 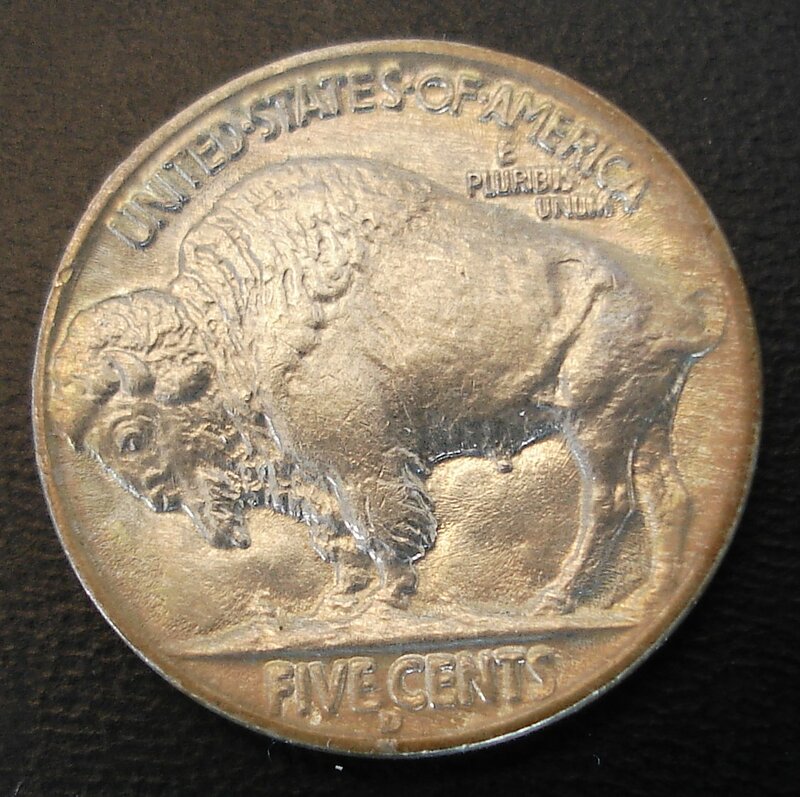 While still a beautiful design, one can see that much of the molding was removed from the coin in order to assure quality control and the mound that the bison stands on is framed above the words 'Five Cents'. 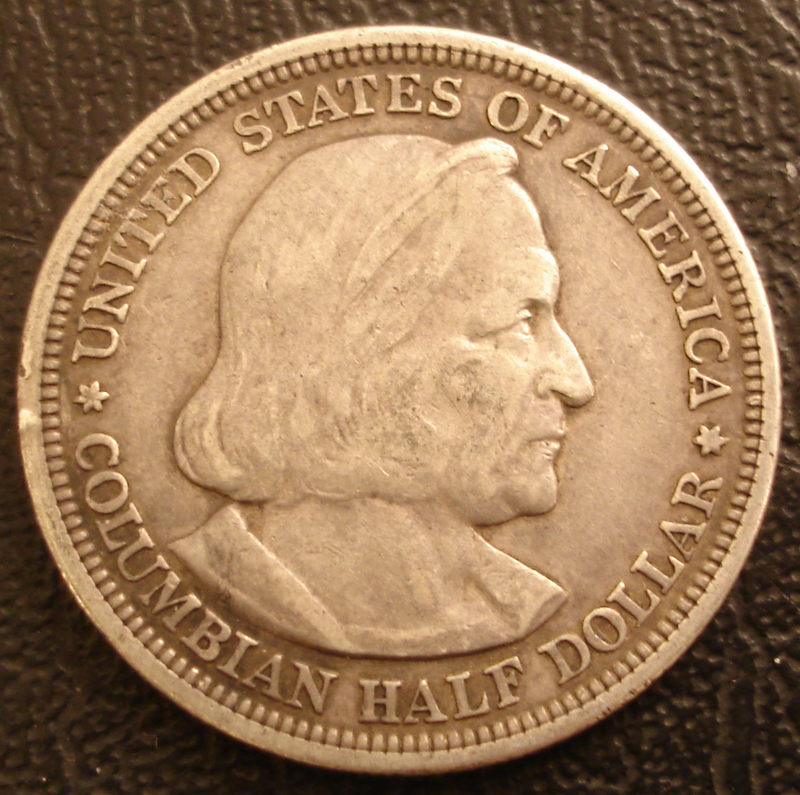 This coin is also a Denver minted coin as can be seen from the mint mark just below the words 'Five Cents'. This coin also suffers almost no wear, so what you see is the result of strike, not from wear of the coin. 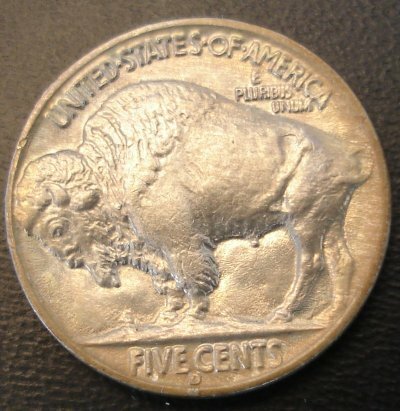 These are my only two Buffalo Nickels, but I like them a great deal and hope you enjoyed viewing them.